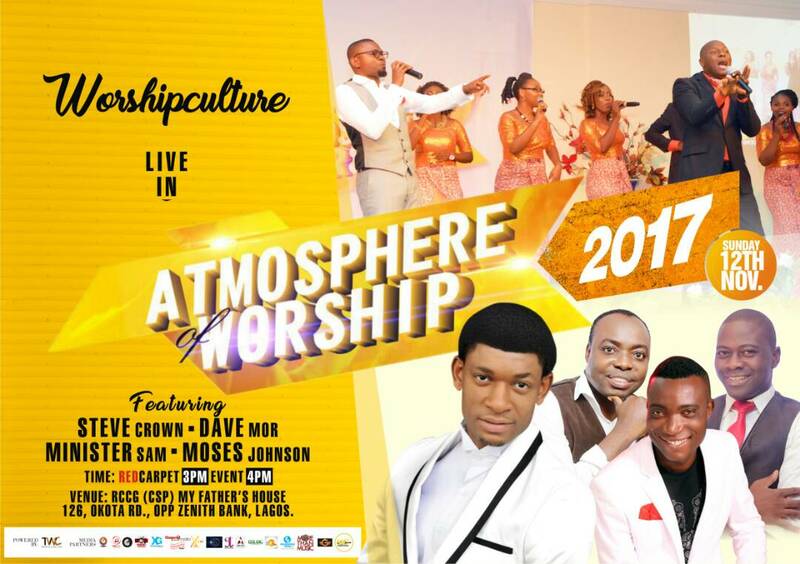 The Worship Culture Family is set to host its annual worship event tagged “Atmosphere Of Worship” scheduled to hold on the 12th November at the usual Venue; the prestigious RCCG, Cornerstone Parish, My Father’s House along Okota Road, Lagos. According to TWC Media, the 2017 edition of AOW will play host to reputable worship leaders such as Steve Crown, Dave Mor, Minister Sam and Moses Johnson with the host team Worshipculture headlining the event. This will be the fourth (4th) year since the inception of the program and it’s been testimony filled all the way. Atmosphere of Worship since its inception in 2014 have played host to World class worship leaders coming to lead the people of God in worship, such as Efe Nathan, PITA, Minister Sam, Paul Chisom, E’Davids, Chris Shalom, Dave Mor, Joe Mettle (Ghana) and lots others. In November 2014, TWC/Worshipculture Radio started a culture of gathering together people from all works of life for an absolute time of worship. 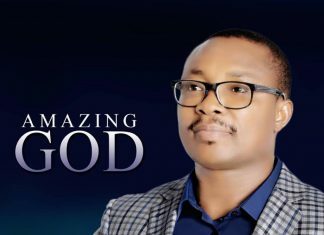 This years edition is certainly one to look out for, mark your calendars and get set for a life changing worship encounter; one that you will probably never forget in hurry.